The link for buying Sandisk 16GB is open now. 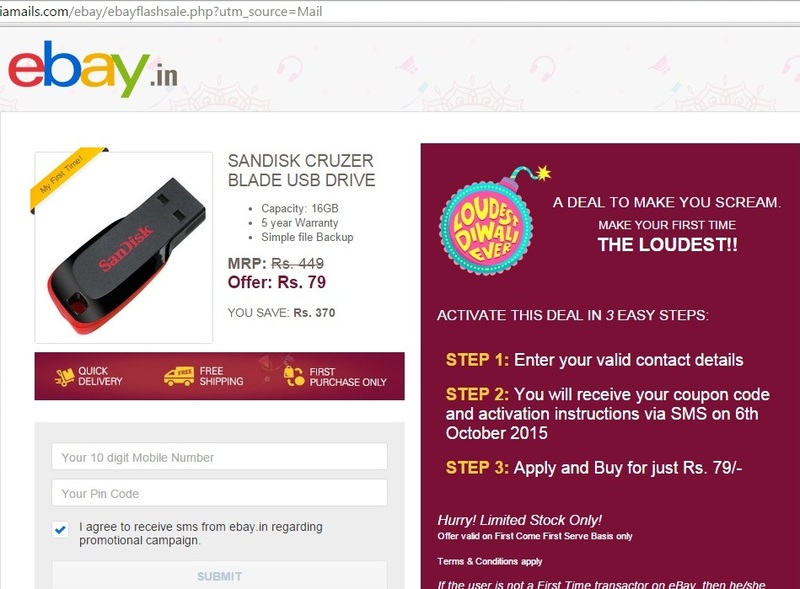 How to buy the Sandisk 16 GB pen drive in Ebay today for Rs.79? 2. Apply coupon code you have received from eBay. 3. Buy the pen drive for Rs.79. Note: You cannot get coupon code now.